We offer graduate degree programs for dynamic students in 10 areas of study. Our programs provide students with a strong technical background and prepare them for leadership careers in exciting and challenging professions. Both our teaching and research are firmly rooted in scientific principles, and at the same time incorporate in-depth knowledge of today's challenges. Rutgers-New Brunswick is one of sixty-three institutions that are members of the prestigious AAU (American Association of Universities) as well as the Big Ten Academic Alliance, an elite consortium of top-notch research universities comprising all 14 members of the Big Ten as well as the University of Chicago. Rutgers excels in all areas, from the liberal arts to the sciences, from the humanities to engineering. We have a nationally ranked program that offers graduate degrees in biomedical engineering; chemical engineering; civil and environmental engineering; electrical and computer engineering; industrial engineering; materials science and engineering, and mechanical and aerospace engineering. 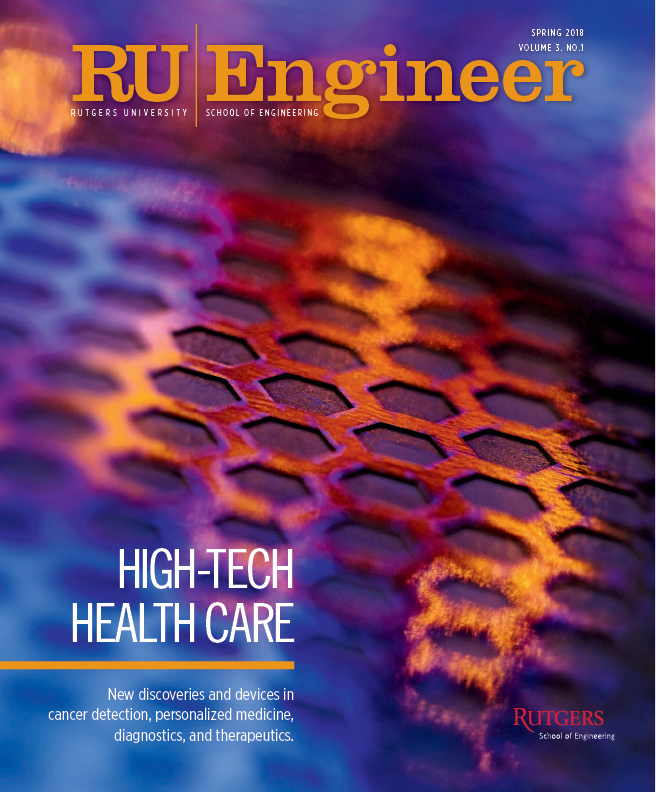 Rutgers SoE is engaged in leading edge research in a multitude of disciplines and has received national recognition for its technology advances. We have extensive labs with state-of-the-art equipment. Size matters to us. The School of Engineering is small enough to promise the focus graduate education demands, but large enough for students to enjoy all the advantages, resources, and opportunities of a leading public research university. SoE faculty member are outstanding—every year, two or more of our faculty members, on average, receive the NSF CAREER Awards. Our faculty members are frequently honored by their peers with awards and fellowships from the most prestigious professional organizations. Books written by our faculty are used world-wide. Our full-time faculty members, as well as our adjunct faculty, are national and international experts in a broad range of fields. Our faculty is also affiliated with several research centers and organizations, both inside and outside Rutgers. While our standards are high and admission is competitive, ours is a "student-friendly" school, where faculty members strive to educate students through research and courses, and to boost the development of students' careers through personal mentoring, group feedback environments, and opportunities for honing and marketing student skills. If you are an ambitious student who thrives in a supportive environment, you should seriously consider Rutgers School of Engineering. The cultural and social opportunities of New Brunswick, as well as of New York City (35 mi), Philadelphia (60 mi), Princeton (20 mi) and Newark (25 mi) are unsurpassed. Rutgers is in the middle of the greatest concentration of industrial and government research laboratories in the U.S. (considering New Jersey, New York, Philadelphia, Boston, and Washington D.C.). This increases opportunities for professional contact, as well as employment prospects. Rutgers is located in a very diverse area, where almost every ethnic, cultural, and religious group in the country has a strong representation. The diversity of our area is our strength, making it possible for students from all parts of the U.S. and the world feel at home from your first day here.